From the moment you wake up until your head finally hits the pillow, we know you’re bringing your A-game to life—grinding at work, working that side hustle, running to that boxing class, networking at the company cocktail party, partying the night away with friends—and we think you deserve to feel fabulous and glamorous through it all. That’s why we’re bringing you sequins, sparkles, and glamorous add-ons right smack dab in the middle of August. Wear them during the day while you’re making your dreams come true, or out at night when you’re celebrating the present—it’s all fair game, it’s all for you. 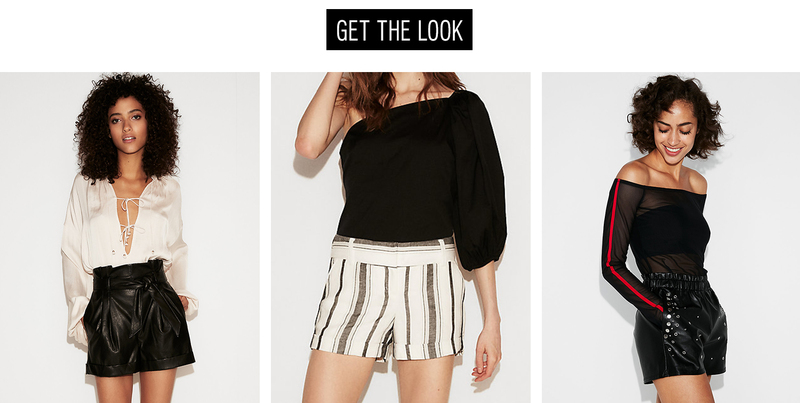 A pair of glam shorts in faux leather, sequins, or shimmery stripes puts your legs on display just like your favorite party dress but have that sense of French-girl cool you only get with tailored clothes. (Left to right): High-waisted (Minus the) Leather Sash Short, Low-rise Striped Linen Blend Short, High-waisted (Minus the) Leather Embellished Short. Here’s a style rule we’re officially ready to retire: heavy-sparkle dresses are only appropriate on New Year’s Eve, your birthday, and bachelorette weekends. 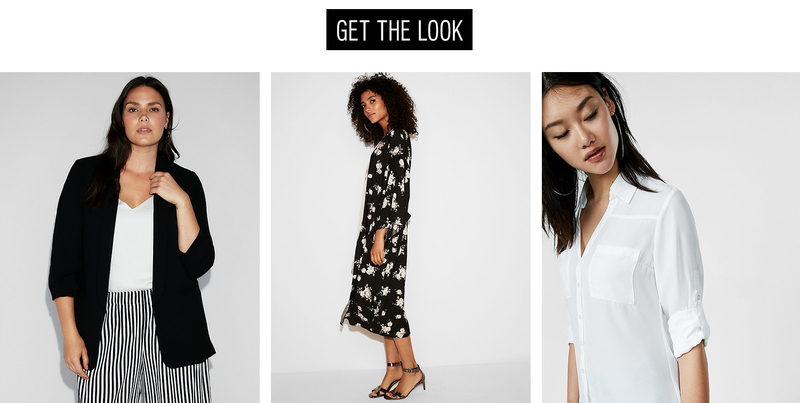 Breezy button-down shirts, vintage-inspired robes, and strong blazers in slinky fabrics turn any cami or slip in your closet into a fabulous outfit for day or night. (Left to right): Ruched Sleeve Boyfriend Blazer, Floral Kimono, Slim Fit Convertible Sleeve Portofino Shirt. We love accessories that scream, “I’m fully aware of how fabulous I am”. 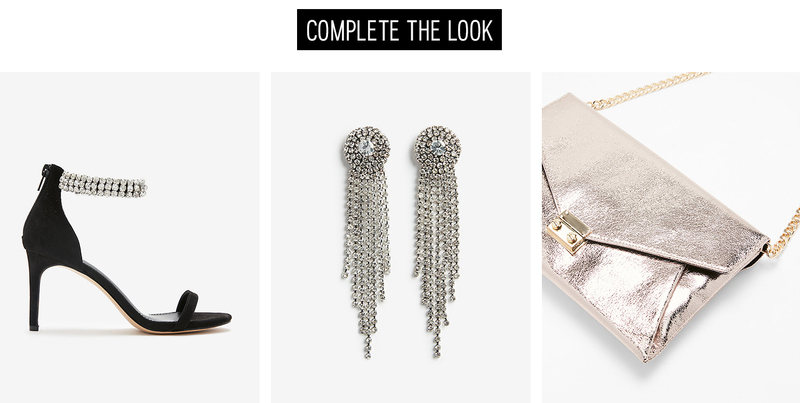 Think: crystal-adorned sandals, costume-level earrings, shiny metallic bags, and boots fit for a rock star. (Left to right): Jeweled Ankle Strap Heeled Sandal, Linear Rhinestone Fringe Circle Drop Earrings, Metallic Front Lock Clutch.